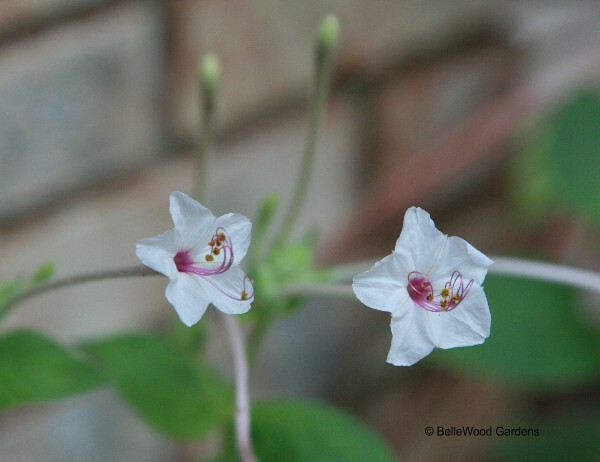 Judy, would love to try some seed of your mirabilis. Can I reimburse you for postage? Bridget In rain-starved Morgantown, PA where the blooming Triteleia in the gravel bed is not minding it at all (as I try to ration the rainwater left in the rain barrel). > I have had this plant for decades. The seed came, if my memory is correct, from a friend who was working at Monticello. The by now rather large, dark brown, rough textured cluster of tuberous roots - look like fingers pointing downward from the single crown - lives in a pot year round, spending the winter in the garage, ignored and un-watered. > It is doing quite well this year, probably because I gave it a substantial top-dressing rather than just hauling it outdoors and giving it a drink of water. 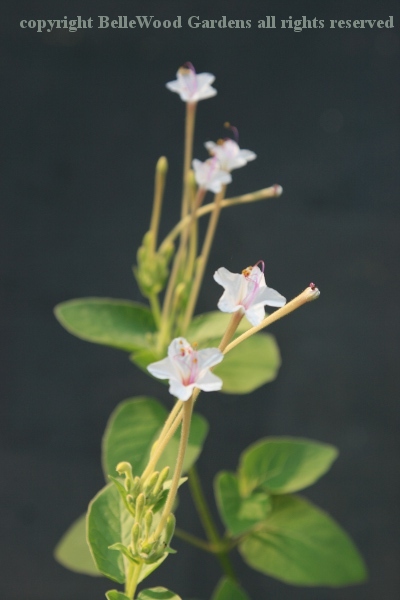 > I went to the wiki, and was surprised to find only one picture, comparing seeds of M. jalapa and M. longiflora. None of M. longiflora flowers or plant. Hopefully, I have attached two images of the flowers, from 2016 and 2008. > It always sets generous seed - would anyone be interested? 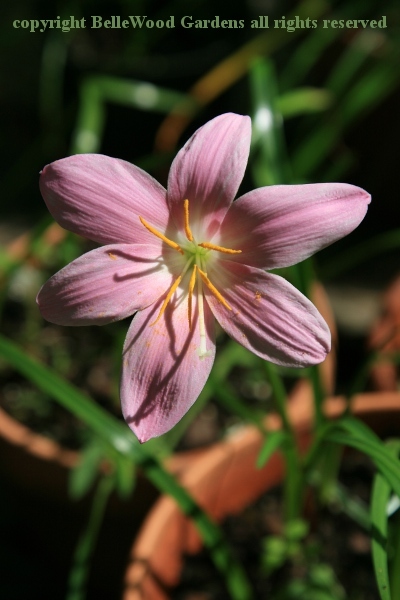 > Judy in New Jersey where Habranthus martinez is nicely in bloom, and a pink rain lily whose stamens appear to be equal lengths so I'll go with Habranthus robustus. What say you all?